Saudi Arabia, June 03, 2018: Al Falak Electronic Equipment & Supplies Co announced a partnership with IT security solutions provider ESET to promote and distribute ESET’s Endpoint Protection; Data Protection and Technology Alliances to meet the growing customer demand among businesses in Saudi Arabia. The addition of ESET solutions to its portfolio will further strengthen the distributor’s market presence in the country. The signing ceremony, held at Novotel Riyadh Al Anoud Hotel, Riyadh, KSA, featured three sessions. 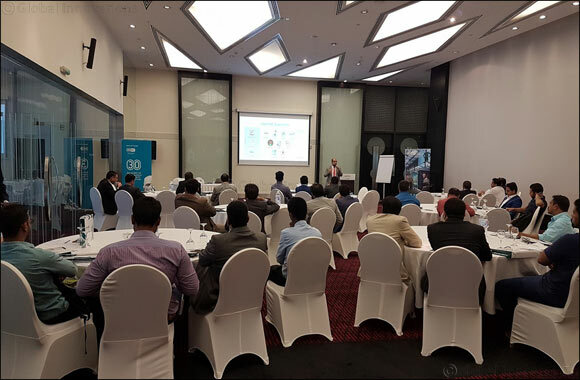 The ‘ESET Endpoint Protection’ discussed ESET’s multilayered and cloud augmented malware protection system and multi-layered protection, along with the MSP program. The pain points of IT managers and ESET solutions for Two Factor Authentication and Encryption were analyzed during the session ‘Data Protection.’ Besides, ESET’s Technology Alliances such as Xopero Backup and Recovery, Safetica Data Loss Prevention and GreyCortex Network PerforTraffic Analysis were also presented. ESET is one of the top four endpoint protection vendors with more than 110 million users in 202 countries and territories. The company is currently celebrating 30 years of continuous IT Security innovation with the first version of famous NOD32 Antivirus. Al Falak Electronic Equipment & Supplies Company was founded in 1981 to assist and contribute to the technical modernization of the Kingdom of Saudi Arabia and the Gulf region. Al Falak is a wholly owned Saudi Arabian company. It has played a major role in the IT evolution by serving a diverse clientele throughout the region, including government ministries and agencies, universities, and prestigious private sector corporations in Saudi Arabia, the UAE, Bahrain, Qatar and Kuwait.